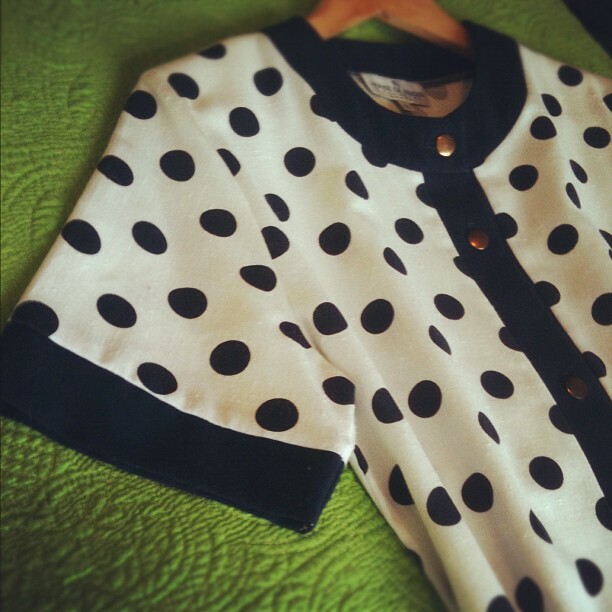 I have been mightily pleased to read that the trend for all things spotty and dotty is carrying on into 2012. I purchased a few items in 2011 which should see me through into the New Year nicely, and am pleased to report that two of my best finds have been from charity shops. Now, great minds must think alike and all that, because I've just read one of my favourite blogs, over at Wearing It Today, where Laura has also done a feature on spots - have a read here. This navy and white polka dot dress was picked up for £4 at the vintage charity shop at Hannahs at Seale Hayne, an arts centre in Devon, just outside Newton Abbot, with a cafe, craft shop and art gallery - well worth a visit. The second dress is another navy and white number, found in a charity shop in Portsmouth for £5 and very different in style - it's very flattering, and also ticks the box of another 2012 trend which is the 1920's flapper girl look, no doubt inspired by the much anticipated film release of The Great Gatsby. 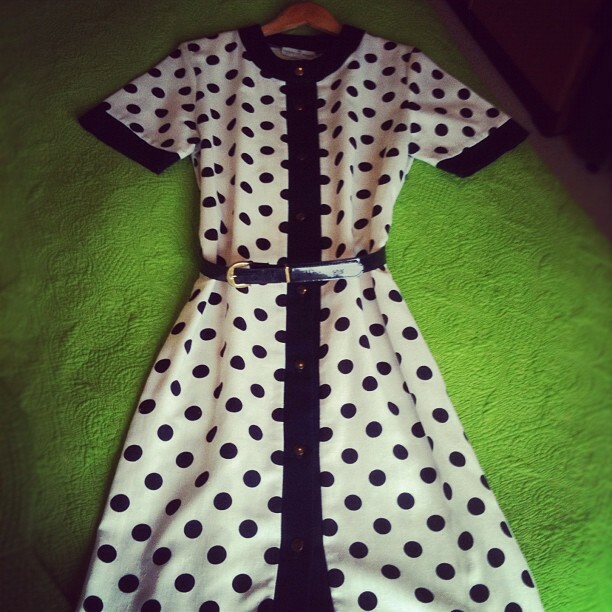 Both these dresses look good with red shoes, red nails and a red lip. 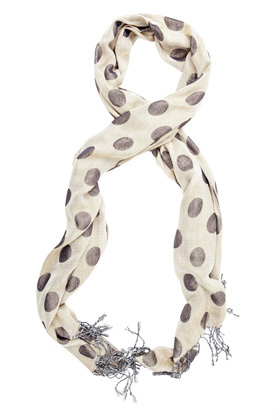 And keep your accessories minimal - let your spots do the talking. 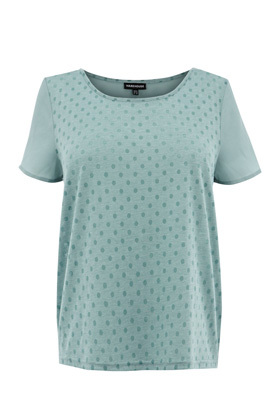 For a more casual day time look, I love these topshop t-shirt which I pinched from a friend - apparently they still have them in store in the sale, but I can't find them online. 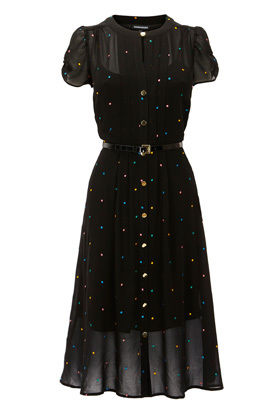 Oh I love this dress - but AARRGH it is polyester - yuck. 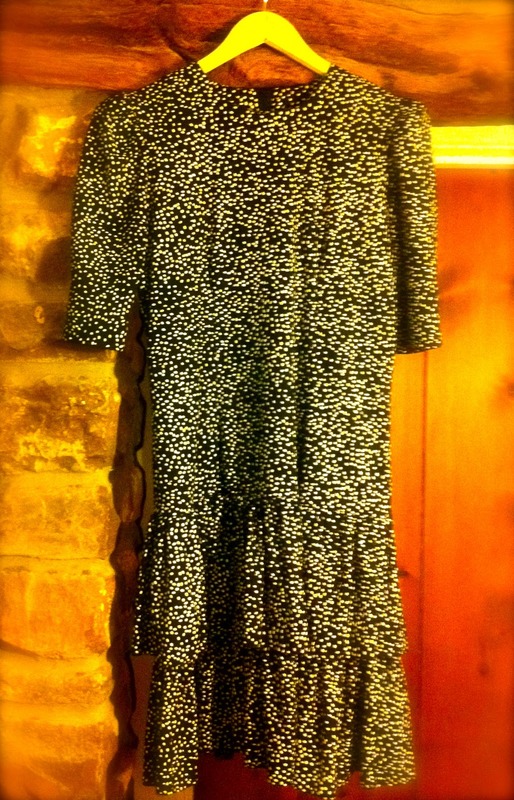 But it is lovely, and in the sale too. This picture doesn't really do it justice - click on the link and have a good look. If you just want to add just a hint of spottiness and dottiness, then go for a scarf - this one's in the sale, and they also do it in black. 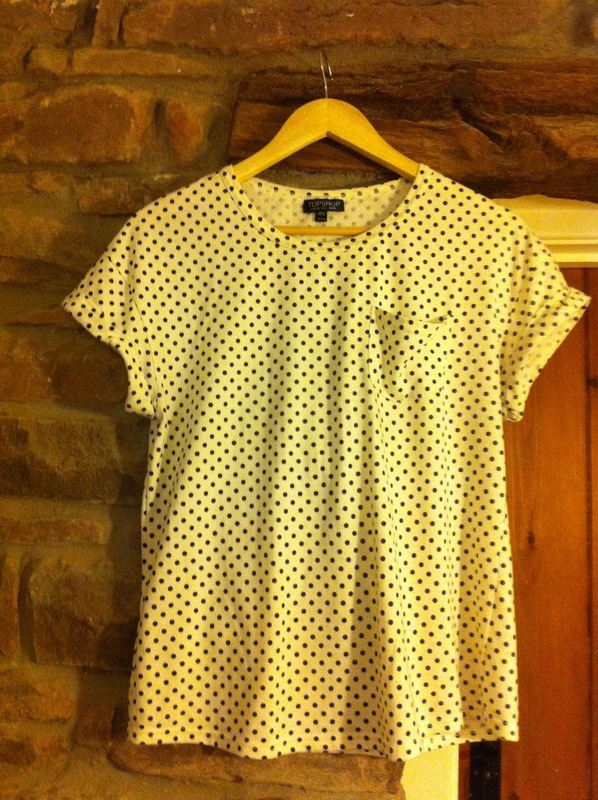 This is in the sale, with only size 12 left, so be quick! That is some fantastic chazzing! You are the chazzy queen!! !